A sunset time view of Volakias and Gingilos (as well as the chapel of Agios Giorgos near the village of Vrysses)) from the beach of Gerani. 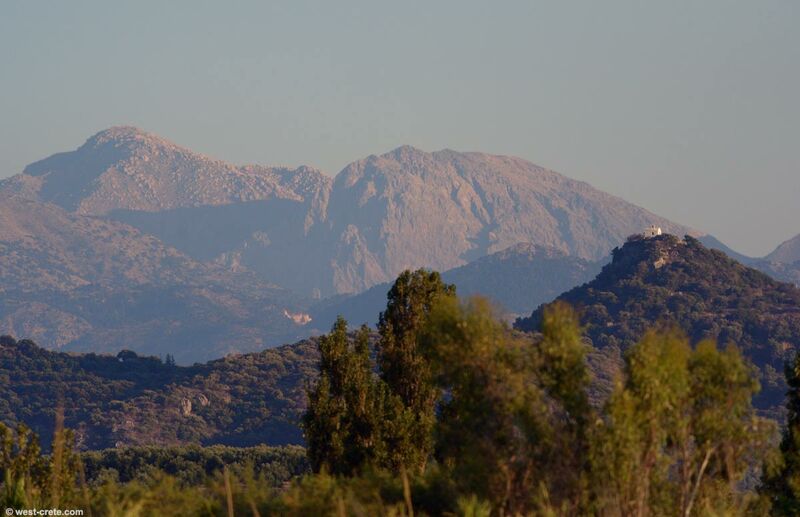 This is taken with a telephoto so the perspective is highly compressed: the mountains are around 25km away. Agios Giorgos is at a distance of 4km.